For a parent of a new hockey player, entry into the sport can be an intimidating experience. 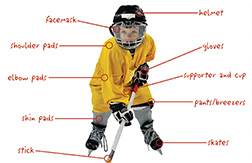 And that feeling can start long before the first goal or even first skate blade hits the ice, because outfitting your child for hockey requires some specialized equipment. We’ll help you demystify that equipment-buying process. 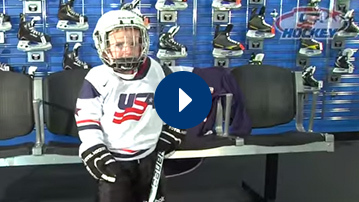 This video gives an overview of the equipment needed to properly dress youth hockey players for practice.